When shopping for floor coatings, you may find yourself overwhelmed by your options. With so many different materials available, choosing the right option for your needs is not always easy. 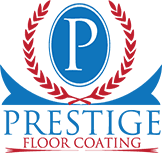 At Prestige Floor Coating, we offer a number of options for our customers in Maryland, Washington, DC, Virginia, Delaware, and Southern Pennsylvania, including versatile polymers like polyurethane and polyaspartic floor coatings. Here is a closer look at what these options are, so you can choose the right one for your needs. If you considering floor coating, polymers are a place to start. Prestige Floor Coating can help you choose the right polymer for your unique needs, so you can enjoy the full benefit of your flooring coating. One of the types of polymer floor coatings to consider for your floor coating needs is polyaspartic floor coating. This coating is one of the hardest in the market, so it will resist foot traffic and other impacts well. It dries quite quickly, making it one of the fastest polymers to install. It is highly moisture-resistant as well, so it is the ideal choice for areas where moisture is an issue. Polyurethane is another type of polymer that is often used in floor coatings. It is quite flexible, which means it resists scratches and absorbs impact well. Its abrasion-resistance is quite high, so it holds up well in high traffic environments. Polyurethane is known for being chemical-resistant, so it can be used in applications where strong chemicals must be used to clean the floor. Which Floor Coating Is Right for You? Polyurethane, polyaspartic, and other polymer floor coatings are all excellent options for different applications. If you are considering floor coating for your home or business, you may find the choice overwhelming. Prime Coat Coating Systems can help. Our floor coating experts can assist you in weighing your options to choose the right floor coating for your specific application. Whether you are looking for moisture-resistance, impact-resistance, or overall aesthetics, Prestige Floor Coating has a product that will fit your needs well. Contact us today to schedule a consultation to discuss your needs, or call (443) 519-2628 to learn more about our floor coating options.